“Through BMS United Bunkers, we are able to offer you a wider set of global services with the same focus and high quality that you have come to know. 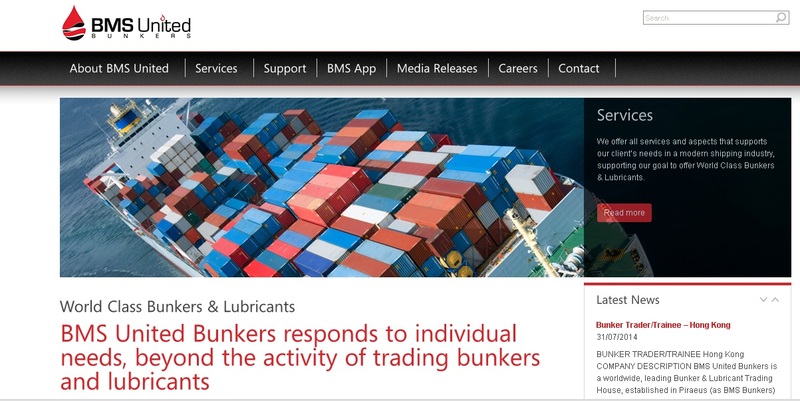 For more than 24 years, we proudly service fleets of the highest standards, and during this period we have grown to become one of the world’s largest bunker and lubricant trading houses. Now, we are proud to have a team of more than 40 highly skilled traders, located among our offices at Piraeus, Buenos Aires, Limassol, Singapore, Hong Kong, Dalian, Jakarta and Taipei. Join Physical Commodities Traders Directory.